Kimber builds the world's finest 1911 pistols right here in America - something that makes sense, as few things are as American as a 1911 .45 ACP. The Crimson Carry II is no exception. 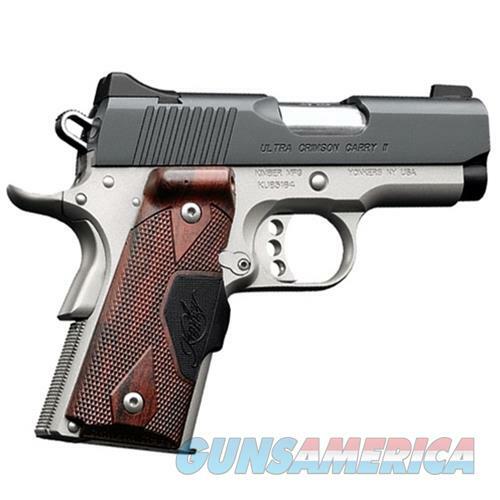 The Kimber Ultra Crimson Carry II features a premium lightweight aluminum frame, an aluminum match grade trigger and Crimson Trace Laser Grips that project a red dot that is visible in virtually any light. This small, lightweight pistol is ideal for concealed or backup carry.